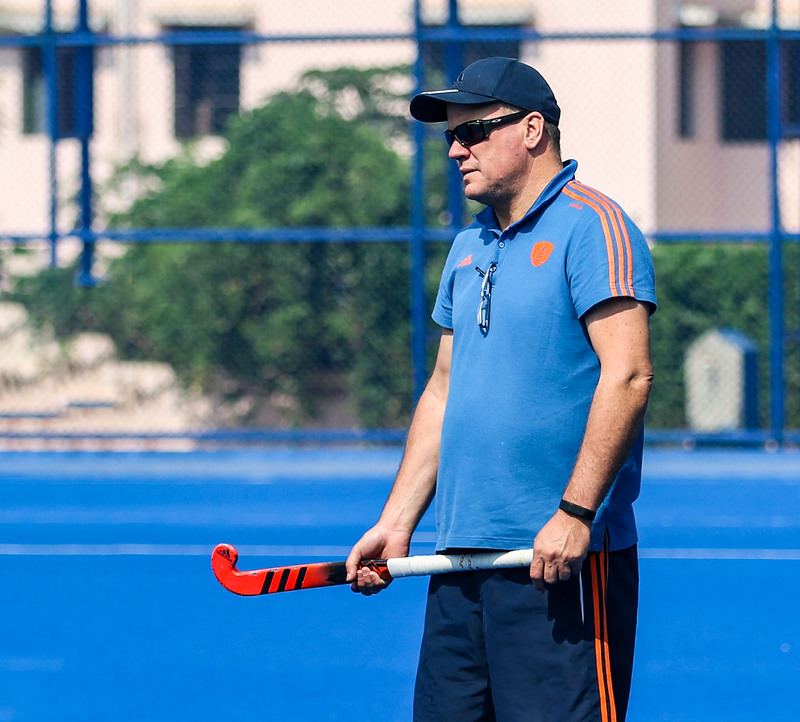 Hockey India has appointed Australian Graham Reid as the coach of the Indian men’s team. But will Reid, who is the 26th coach India have had in the last 25 years, be given enough time to implement his style on the team, or will he be another scalp for the governing body’s collection? Graham Reid was head coach of Amsterdam hockey club (AH&BC) and was sacked after a damaging 2-8 loss in the league. Hockey India (HI) has appointed former Australia player and coach Graham Reid as the new head coach of the men’s national team... The move, at first glance, is a departure from the established norm of HI, for it doesn’t seem to defy logic. Hold on! We are talking about Indian hockey, and so, here we go. Reid, who had great success both as a player in the 1990s and as Australia head coach in the first half of this decade, is coming off a disastrous season with Amsterdam hockey club (Amsterdamsche Hockey & Bandy Club — AH&BC). Amsterdam, languishing sixth in the Dutch league at the moment, apparently sacked Reid after a 2-8 loss against HGC early last month. In the coach’s defense, the sack could have materialised after rumours spread that Reid was in talks with the Indians for the big job in the market. The job so lucrative that no good coach was keen to take up thanks to Hockey India’s whimsical attacks on the national team set-up as well as the coaches who head it. Despite the rather notorious reputation — a graveyard for coaches no less — Reid took up the Indian offer. One can’t help but ponder the motive though. The pay package would be lucrative, no doubt. After all, Reid’s original demand — apparently $15,000 per month and six air tickets to travel to Australia in a year — was turned down by the Sports Ministry last week, deeming it too high, said reports. A week later, the issues with the big pay package seem to have been resolved. So, Reid is coming in with a salary that could possibly be bigger than what the High Performance Director, fellow Aussie David John, earns. Then again, a Dutch coach Newsclick spoke to revealed the Aussie was getting paid quite handsomely in the two commitments he was handling in the Netherlands. Reid was not just the head coach of Amsterdam, he was also doubling up as the second assistant coach to the Dutch national side, under Max Caldas. That discounts money as the primary motive for Reid to pack his bags for India. In all fairness, he is a hockey coach, a guru, not a mercenary, and could be seeking a new challenge. However, the fact remains that Hockey India’s new prized appointee, regardless of past reputation and credentials, is coming off two rather tumultuous divorces. The manner in which he has left two major commitments could be proof he is a risk taker who loves challenges and prefers the honour of taking a side rich in history like India to the Olympics. The Potential Yang to this Yin is the Dutch side of the story. The hockey authorities there would certainly not be happy with the way Reid has broken contract right in the middle of an important phase in the Olympic cycle — the qualifiers. Reid, with the risk of being branded a pariah in the Netherlands, and possibly across Europe, has quite a lot to lose if the stint with India turns sour. That could happen as early as June when the national side plays the FIH Series Finals in Bhubaneswar. In the Olympic qualifier competition, where India is the highest ranked team by a distance, anything short of victory would be considered a failure, though a top two finish would ensure progress to the next stage of Olympic qualification. Now, the question remains whether Hockey India would wield the axe if the side finishes second or third best in Bhubaneswar. Ideally, the new coach should be given a longer duration to settle in and implement his plans. But with HI anything is possible. Talking about plans and philosophy, experts believe that what Reid could bring in won’t be too much of a departure from those former coaches, Aussie Terry Walsh and Dutchman Roelant Oltmans, tried to implement earlier; and quite a drastic change from what immediate predecessor Harendra Singh tried. They wonder why Hockey India keeps going back to the things and styles that have been tried and proved a failure. The coach, however, sounded confident enough in the HI media release. However, Reid understands the power dynamics in the Indian set-up too. After all, he took up the offer after consulting Ric Charlesworth, his coaching mentor, whose stint in India was far from peaceful. He has already said he would like to have a “stable environment” for himself and his players. Well coach, a conducive environment while working with Hockey India may not be as easy to nail as a heavy pay package. There is hope stemming from the fact that Reid is coming after a rich stint under Caldas, the Netherlands national team coach known for his novel approaches. The side finished second at the FIH World Cup in Bhubaneswar last year and the feeling is that if Reid has picked up the player-centric ideas that Caldas implements, then things could work in India. Then again, Hockey India is not exactly player centric, is it? Over the past year, the Newsclick sports team covered stories ranging from the good, the bad, to the outrageously ugly.